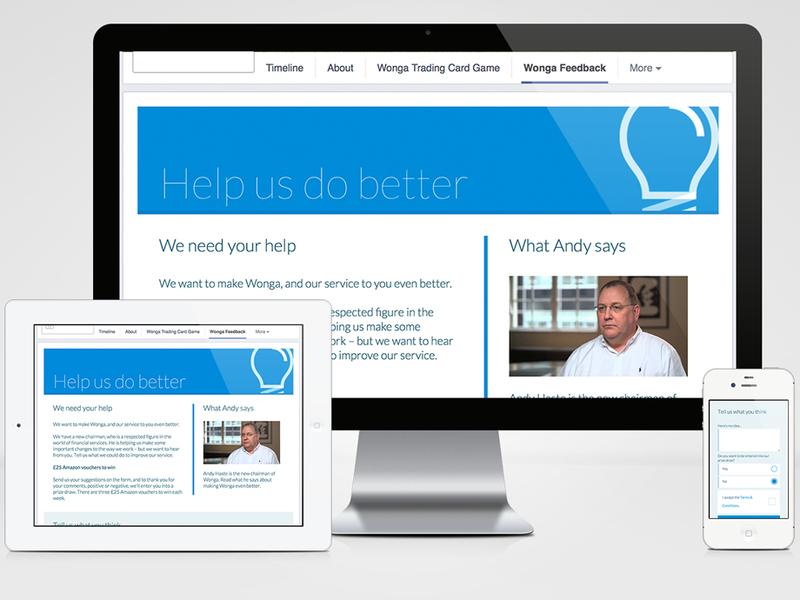 The Feedback Application was created to get feedback from the general public on how Wonga can improve it’s services. As a thank you, users were entered into a prize draw to win Amazon vouchers every week, whether the comment was positive or negative. The application was completely anonymous, so users did not have to enter their personal details when leaving a comment – unless they wanted to entered into the draw. The application was available on Facebook (for desktop devices) and mobile (responsive site).